Between the student organizations, the grilling hamburgers, and the guest appearance from Iowa State University’s (ISU) mascot Cy, it’s easy to get distracted at a Civil, Construction and Environmental Engineering (CCEE) Fall Picnic. But Kaoru Ikuma knows exactly why she’s at the event. “The students are why I’m here,” Ikuma says. No hesitation. 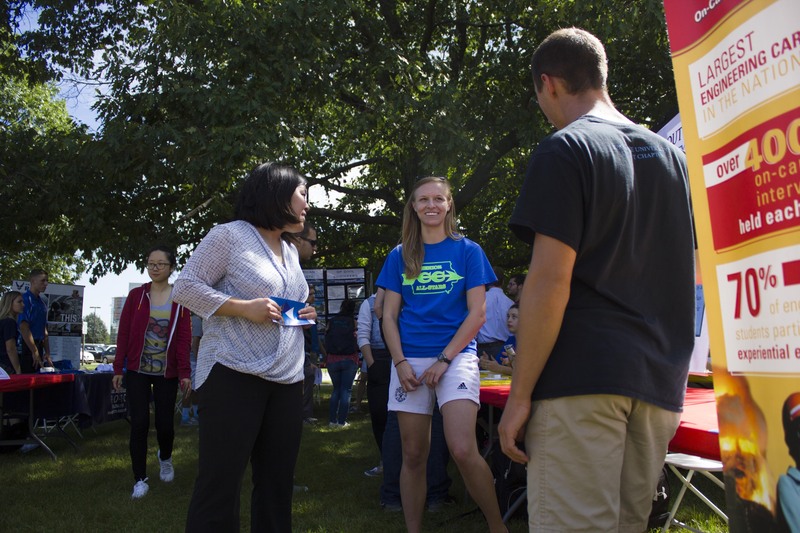 On Sept. 8, ISU CCEE hosted its annual welcome-back gathering for engineering students. With more than 20 organizations from CCEE, the College of Engineering and the university, the picnic was a chance for students and faculty to connect and chat. 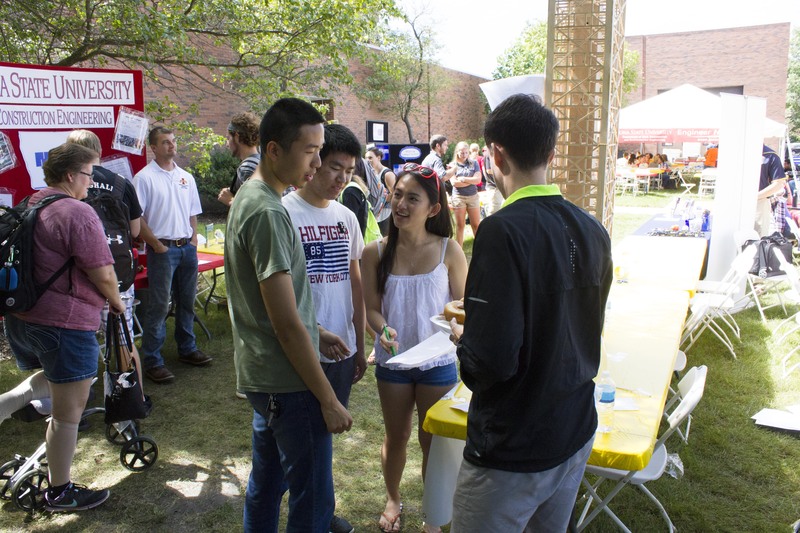 Ikuma, who is an assistant professor of environmental engineering, advises the student organization Engineers for a Sustainable World. She also gets involved with several groups on campus, including Water Environment Federation Student Chapter and Women in Science and Engineering. This was her first time at a CCEE Fall Picnic. Ikuma explained that helping students make connections to organizations and faculty was the top reason for coming. Ikuma explained that interaction is crucial to the learning experiences of students. 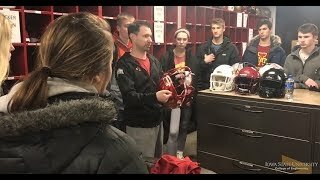 “I don’t think (students will) latch on to the stuff you want them to understand, want them to get enthusiastic about, without that connection,” Ikuma said. Paige Taylor is a junior studying construction engineering (ConE). She has attended the picnic ever since she was a freshman. 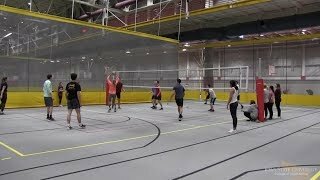 The event has become a tradition. 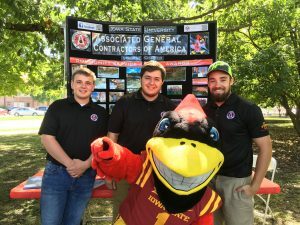 “I already spend the majority of my time in Town [Engineering Building], so it was an easy way to grab lunch and speak to the AGC [Associated General Contractors] and NAHB [National Association of Home Builders] representatives, both organizations I have an interest in,” Taylor said. Besides great food, the picnic provides a time-out for conversation. 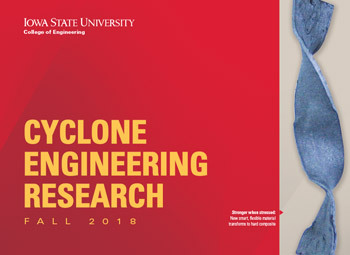 To stay up-to-date on ISU CCEE events, follow us on Facebook, Twitter and on LinkedIn (Iowa State University Civil, Construction and Environmental Engineering and ISUConE). And make sure to check out upcoming events on the homepage of our website, ccee.iastate.edu.